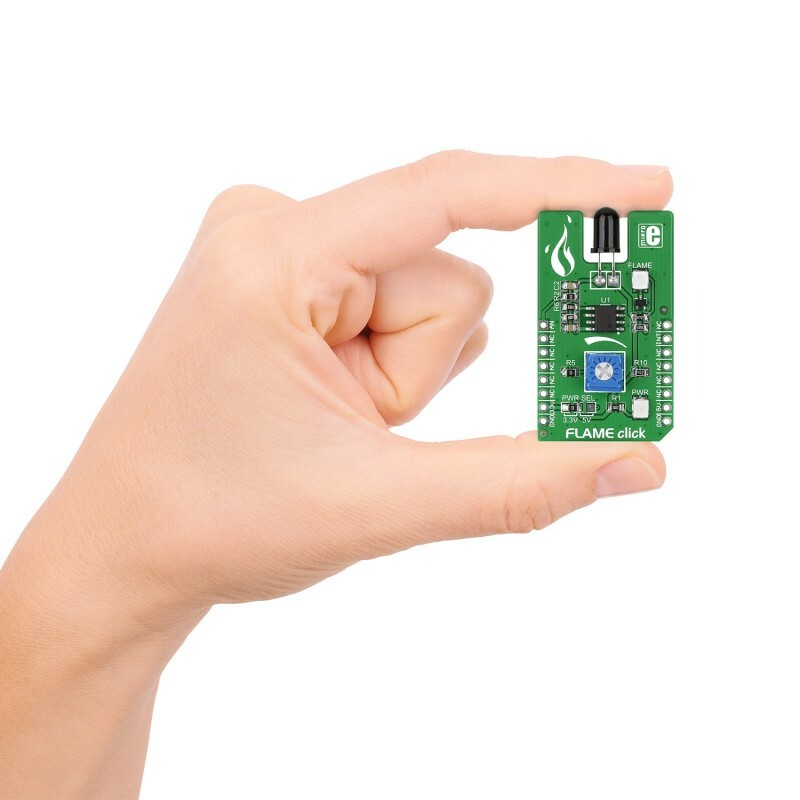 Flame click is a fire detection solution. It carries a PT334-6B silicon phototransistor that’s covered in black epoxy and therefore sensitive only to infrared light. Flame click is a fire detection solution. It carries a PT334-6B silicon phototransistor that’s covered in black epoxy and therefore sensitive only to infrared light. 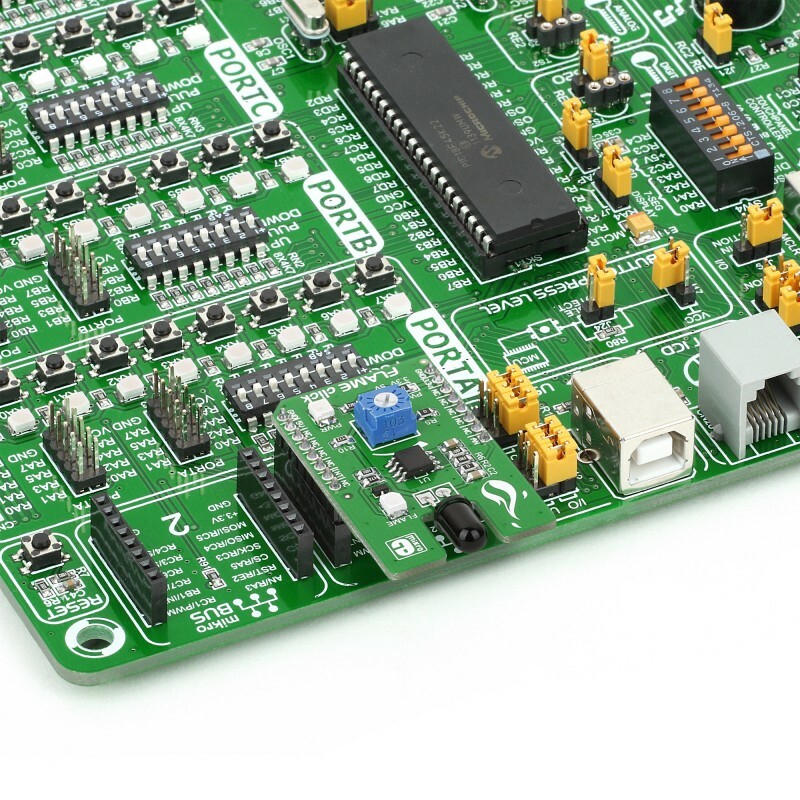 To use it as a fire alarm, set up the exact detection threshold through the onboard potentiometer (once reached, the click will send an interrupt to the target board MCU through the mikroBUS INT pin). 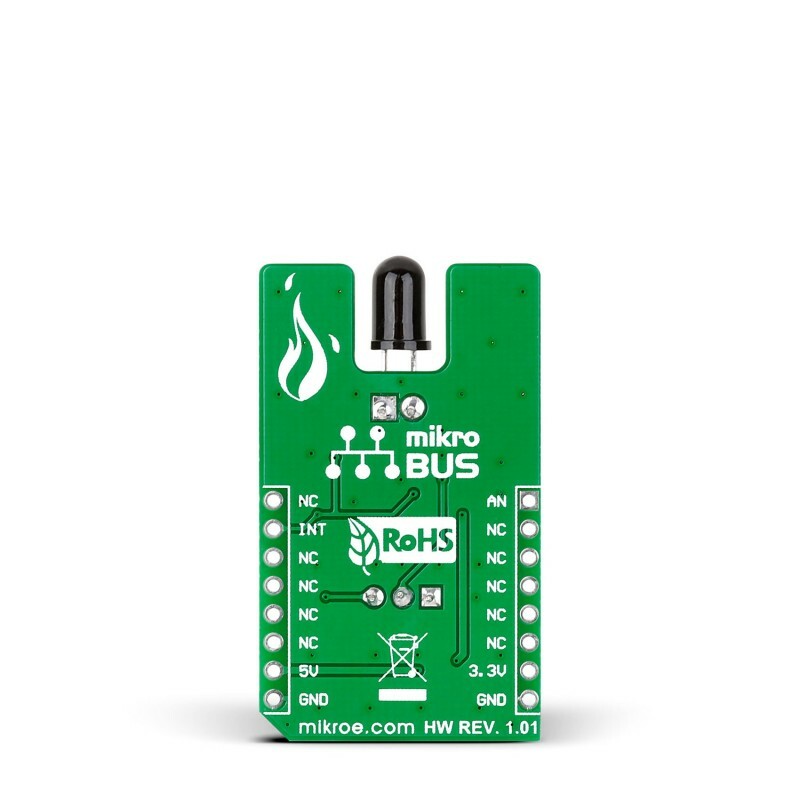 Othewise the sensor can also output a continuous analog signal through the mikroBUS AN pin. 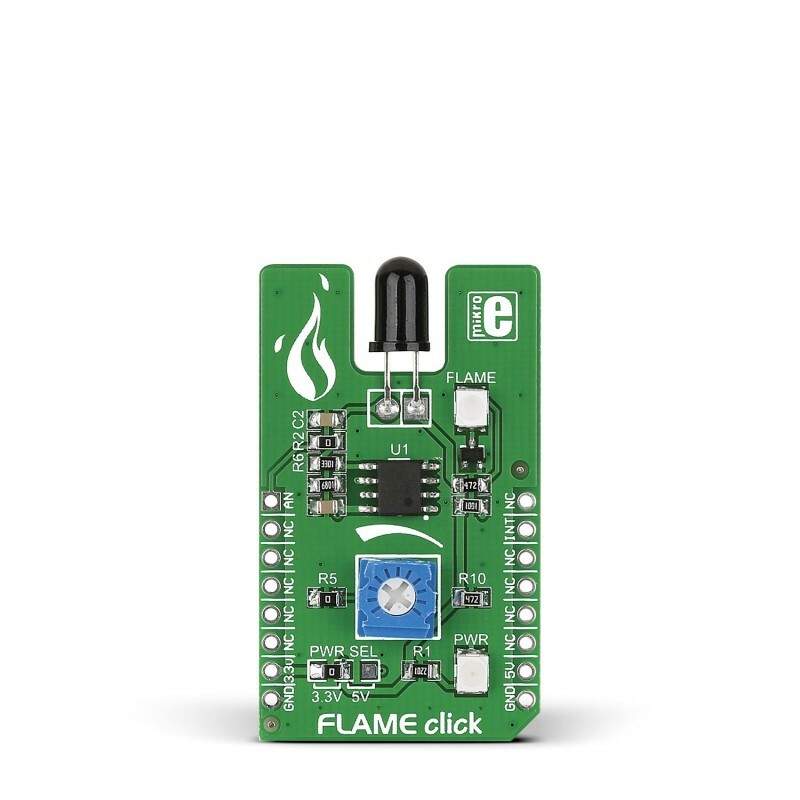 Flame click can use both a 3.3V or a 5V power supply.